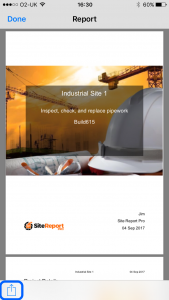 Site Report Pro allows you to create and store multiple professional PDF reports for your projects. So, whether you are performing a site survey, a site inspection or a site audit, you can create, store, view and share all versions of the project’s reports on your mobile device. All reports are extremely configurable. View the Custom Reports article to learn more about how you can customise the content and look and feel of your reports. 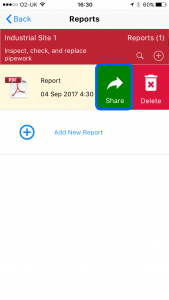 When previewing a new or existing report, click the Share button on the bottom left of the screen. 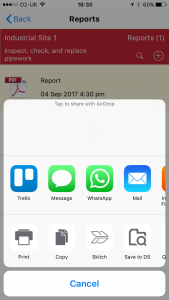 When on the reports screen, swipe right to left on the report you wish to share and click Share.